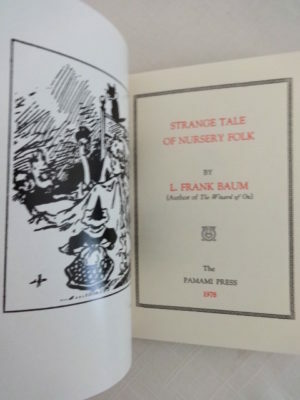 Inspired by Wizard of Oz author L. Frank Baum’s love of printing, Oz scholar Michael Riley produced five shorter works by Baum at his own Pamami Press between 1978 and 1984. 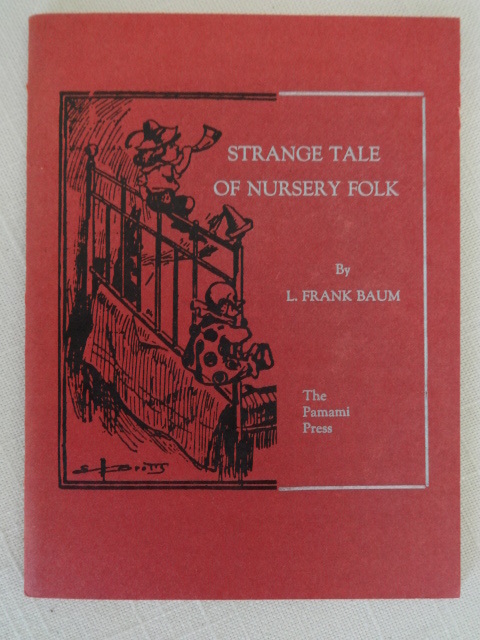 He hand set all the type, printed the pages on a press similar to one Baum might have used, and hand bound each copy. The press ceased operation when Michael moved to Germany to teach, and the few unsold copies of his books were put in storage until recently. 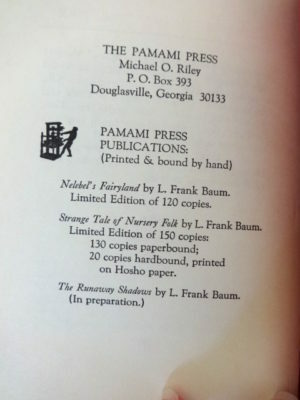 Since then, Pamami books have become sought after collector’s items and are described fully in The Book Collector’s Guide to L. Frank Baum, pages 271-277. 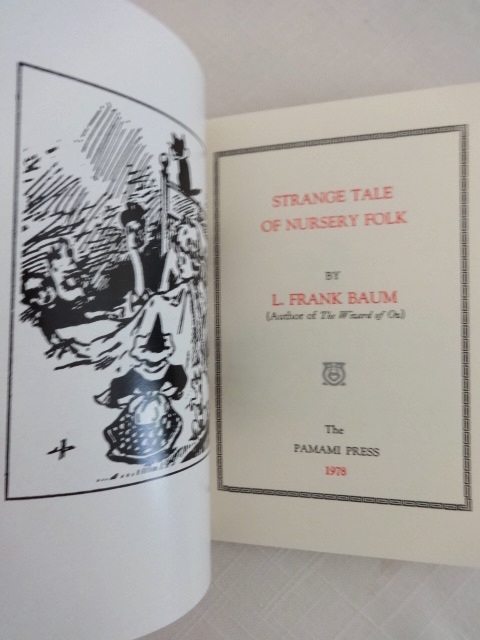 Here is one of Pamami Press’s early titles, Strange Tale of Nursery Folk, which was thought to be by L Frank Baum in December 1978 when it was published by Riley. However, Oz scholar Michael Patrick Hearn says it is not by Baum, and was mis-attributed to him in an old Baum Bugle. 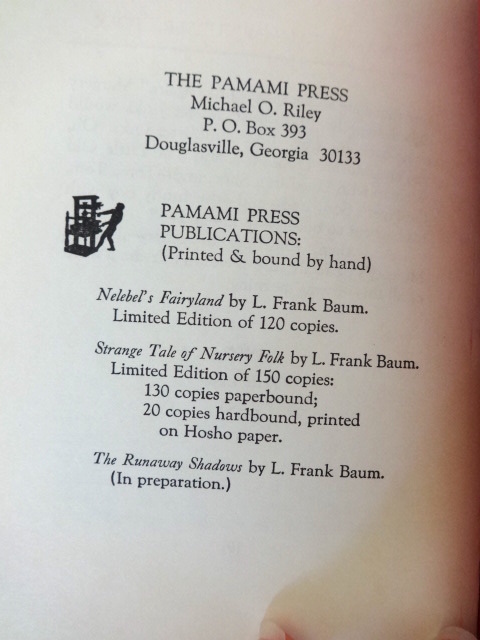 Red paperbound wraps printed in silver and black, #98 of a limited edition of only 150. 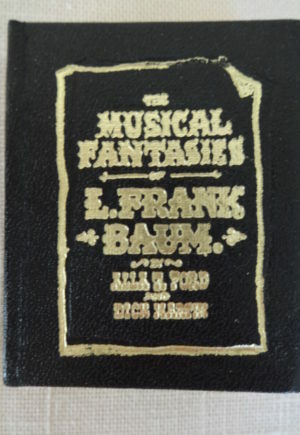 Just 4 1/2 x 6″ and 10 pages plus preface and inserted B&W frontis plate. 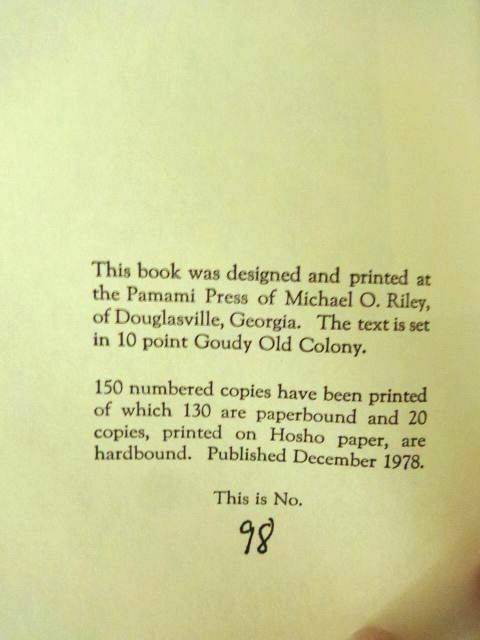 Text printed on with red headings and ornaments. 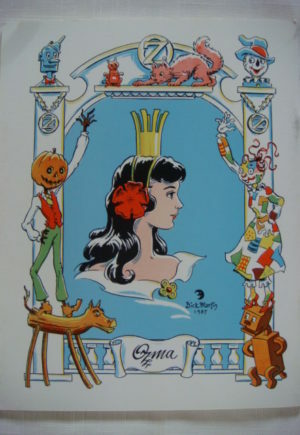 In near fine condition, with a mylar type cover that can be removed if you desire.